Phonographic Copyright (p) – Mainman S.A. Copyright (c) – Raincloud Productions Ltd. Manufactured By – Fonobrás, Distribuidora Fonográfica Brasileira Ltda. 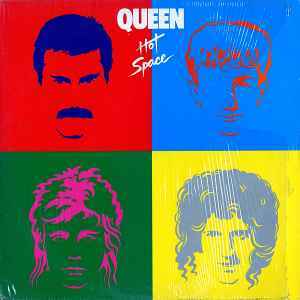 Published By – Queen Music Ltd. Published By – Fleur Music Ltd. Printed By – Van Moorsel Andrade & Cia. Ltda. Housed in a printed picture sleeve including lyric sheet. Vinyl housed in a plastic bag. Recorded at Mountain Studios, Montreux, Switzerland & Musicland Studios, Munich, Germany. ℗© 1982 Original sound recording mady by Raincloud Productions Ltd.